The G&V California Corporate Records Program is designed to help private, closely held small to medium sized businesses, regardless of their length of incorporation, do their corporate legal housekeeping efficiently and at a low cost. Even if your records have not been updated in some time, we can bring everything current to insure your corporate entity remains valid and your fortress legally protects your shareholders, officers and their personal assets. 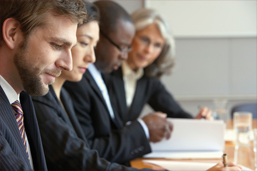 We will schedule a meeting at our offices in Orange County California. You will bring your corporate records. The current condition of the records is not important. Some people come with just a few pieces of paper and others come with a corporate kit notebook that contains lots of blank forms which have not been filled in and are incomplete in other ways. During a meeting I will take the opportunity to ask you questions about your company so that I can determine what should have been placed into the corporate records. You may also ask me any questions that you have. When we get to the end of our meeting, we will have determined one of two things. Either, the records are in perfect condition and there is nothing more that you need to do. In which case, our meeting is over and you owe me nothing. Or, we will have determined that your records require work and you wish to participate in my annual maintenance program. In the case where work is necessary, I will give you a budget to bring the records current and a second budget for the cost of the annual maintenance program itself. If you decide that my program is not a good fit for your company or that you cannot afford it, there is no further obligation and our meeting is concluded. If you decide that the program is a good fit, then we get started right away. You’re busy running and growing your business. That’s why we’ve made the G&V Corporate Records Program simple to begin, easy to complete and priced within almost everyone’s budget. We base the fees upon the needs of your corporation. Each program is fee-based (not hourly) so you know in advance just how much you need to budget. Our programs begin as low as $525.00. Still too rich? Ask about our new low cost monthly California Incorporation Services packages! Your corporate records will be flawlessly maintained and legally valid — that’s our promise. Your satisfaction is guaranteed. Schedule and remember activities and required meetings. 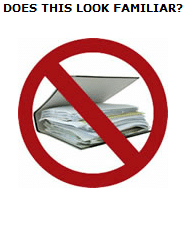 We will review and audit your corporate records at no cost or obligation to you. Schedule an appointment, or we will pick a copy of your records up (don’t worry what they look like), review them for FREE and recommend a specific course of action to bring your records up to date and maintain them in the future. Either way, your review and consultation are FREE.